Kevin Gallagher, chief supply chain officer; Tony Sarsam, CEO; and Joe DePetrillo, chief marketing officer. Tony Sarsam was looking for what he called the next “great adventure,” and he has found it at Borden Dairy. Now CEO of the Dallas-based company, Sarsam most recently was CEO of Los Angeles-based Ready Pac. Prior to that, he honed his turnaround skills at PepsiCo. He not only has the experience doing it, but he also has a passion for it. Sarsam, along with Kevin Gallagher, chief supply chain officer, and Joe DePetrillo, chief marketing officer, spoke with The Shelby Report’s Southwest VP Jan Meade at the Lamar Street Borden plant in Dallas. Borden Dairy operates 13 plants and employs about 3,300 people. The corporate team is still relatively fresh. Gallagher came on board in October of 2017, Sarsam in March of 2018 and DePetrillo in July of 2018. Borden’s marketing and research and development operations had to be re-staffed from scratch as well. Sarsam said Borden looked for people with the same kind of bias he has regarding how they want to lead. The No. 1 stakeholder, broadly speaking, is the employees. The organization’s focus is to serve its customers. 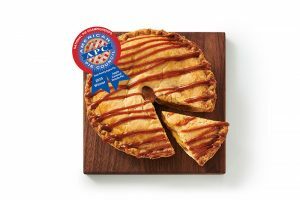 “What I believe is if we, as a leadership team, focus on making our people our top priority, they’ll do a great job with the customer,” Sarsam said. Nathan Gosser, production manager; Chuck Lacy, plant manager; Jeffrey Aldredge, maintenance manager. All are employed at the Dallas Borden plant. He said that of the four “nutrients of concern,” milk is the No. 1 source of three: calcium, potassium and vitamin D. The only one it lacks is fiber. And then there’s Elsie, which AdAge in 2000 named one of the “Top 10 Advertising Icons of the [20th] Century.” She first appeared in 1936. Her enduring popularity is humbling, DePetrillo said. Borden plans to leverage Elsie and that positivity. The company has been around since 1857 and used to be a national brand. Today, it still has 72 percent brand awareness nationwide. That figure is higher in Borden’s core markets, which now cover about a third of the U.S., from Texas to Florida to Ohio, DePetrillo said. He said declining milk sales, as well as the rise of plant-based beverage sales, can be attributed in part to negative press and rhetoric around milk. But milk still is a constant and, despite the negatives, there are abundant positives. Borden is seeking to partner with industry resources like MilkPEP and Dairy MAX to amplify the message around milk and get the “real facts out there,” he said. The facts are that 85 percent of children ages 2-8 consume an average of about 12 ounces of milk every day. Older children also consume it (about 80 percent of 12-year-olds) and even about half of adults also enjoy milk on a daily basis. Where to next with Borden products? Sarsam said the dairy industry and Borden have been asleep in terms of really focusing on the consumer. That has allowed companies from outside the dairy industry to cart off pieces of it. A lot of dairy is eaten—butter, yogurt, cheese, ice cream and more. There are a number of directions Borden could go as it expands its product portfolio. The company’s leaders will consider those options as they contemplate where to go next with products. 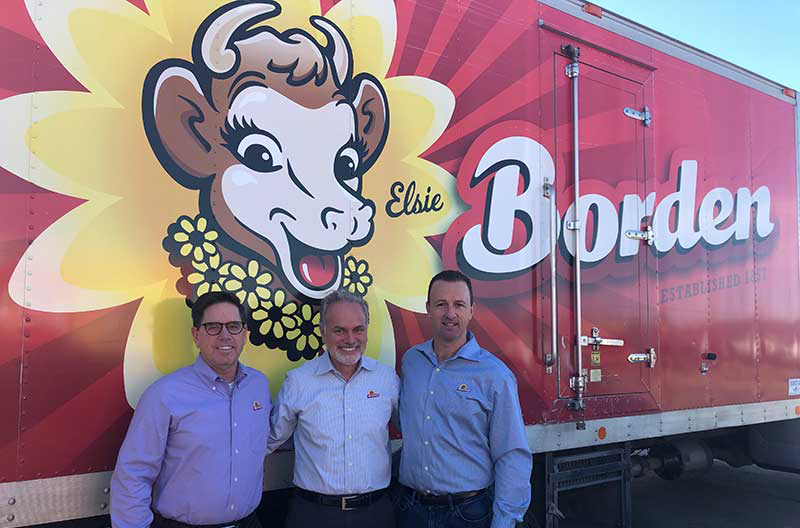 Borden CEO Tony Sarsam with Elsie the Cow. Sarsam said that Borden will bring consumers products that are meaningful to them—for health, indulgence or convenience. Gallagher said milk has been treated as a commodity for a very long time. His work involves driving a more consistent product plant to plant, location to location. 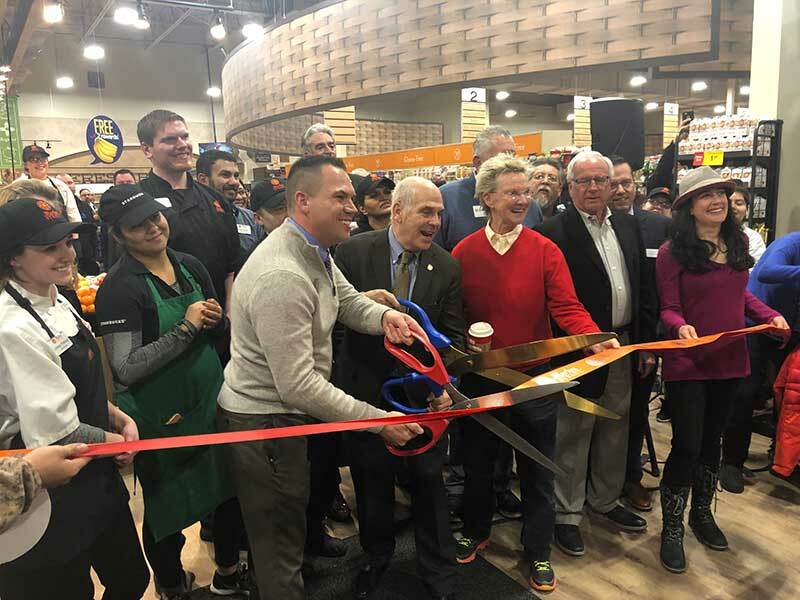 “At the end of the day, we can also partner much better with our customers from a supply chain standpoint, so there’s a lot of work on my side that we have to do to raise how we’re doing things, to raise the bar for us and our expectations toward our customers,” Gallagher said. He also said a lot of investment and energy is going into the organization at the plant level. Adrienne Chance, senior director of corporate communications at Borden, has been developing new communications tools to keep employees involved. “Because we know that if we’re going to do a great job of serving our customers, we have to have everybody on board,” Sarsam said. Along those same lines regarding taking care of employees, Gallagher talked about how the company was impacted by recent hurricanes. Its plants are located in Florida, Alabama, Mississippi and in Charleston, South Carolina, and all of those locations have been impacted in one way or another by devastating weather. “We’ve got a lot of programs in place to react when hurricanes are coming to essentially derate and slow the plants down and then stop right before and be prepared to fire back up quickly—for two reasons,” Gallagher said. The first is to get people back to work. The second is to service customers as the stores get back online so the public is served. “We have a distribution branch in Panama City that was leveled, along with employees’ homes,” Gallagher said. “Many employees were impacted, and yet the manufacturing facility in Dothan, Alabama, was back up within 30 hours and the employees were working at the plant while they had no homes. 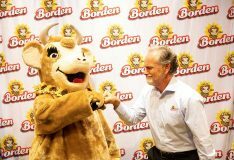 generations will enjoy Borden’s products and Elsie.